If your roof has been damaged during a storm or bad weather, or is just getting old and worn, we are professional roofers who can assist you with all of your roofing needs. We have been covering the Fishponds and Downend areas of Bristol for over 15 years, so for a consultation with experienced professionals, call us today. We offer free callout consultations throughout your local area. Let the experts come to you, so you can hear a competitive quotation on all of your roofing needs. Settle for no less than the finest expert care for your home. To talk to reliable, experienced roofers about your roofing needs, call 0117 345 9299. We have over 15 years of roofing experience and satisfied customers, so you are guaranteed top standards of workmanship. 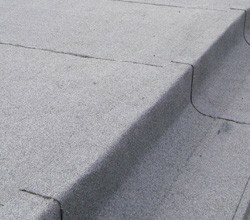 We select the right materials for your roofing requirements, and apply them with a careful technique that only years of industry knowledge can provide. From consultation to completion, your home will be treated with the utmost care and respect, by qualified professionals. We love to take pride in our work, so we will listen to any queries you may have along the way to ensure that we uphold the level of customer care that our reputation is built upon.